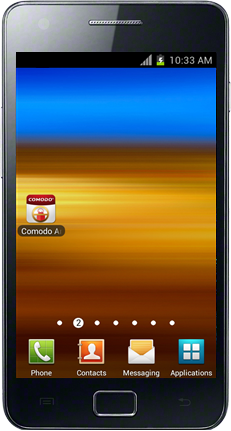 Comodo Anti-Theft (CAT) allows you to locate and recover your missing Android device and to prevent unsolicited access of your sensitive data. As the 'Swiss army knife' of anti-theft applications, CAT provides multiple ways to find and protect your missing Android device. All security features are activated by text messaging a special code to your missing device and include device location, device lock, device wipe, take remote photograph and sound an alarm. Refer to the sections 'Activating Anti-Theft' and 'Configuring Anti-Theft Settings' for more details on setting and changing password. After installation, you can watch the demonstration of each feature at anytime in the home screen and tapping on the respective feature.